In light pf all the false spoilers circling, I thought I'd share some of the things I would like to see in Marvel's Phase 3 films. These aren't spoilers, but if I were going to make up a Reddit user name and lie to people about having "inside info", this is what it would sound like! For starters, it's important to think about how Avengers: Age of Ultron sets up the future. Phase 3 starts with both Hulk and Thor off the board and with Tony having given up on his superhero dreams. Cap will be actively leading a team of Avengers that we'll meet at the end of Avengers: Age of Ultron. While the makeup of the team is up in the air, I feel certain Black Widow, Falcon and Scarlet Witch will be on it among others. It's also possible that Marvel has filmed some surprise post-credit type stuff that could introduce Spider-Man, Captain Marvel, Doctor Strange or any number of other Avengers; there's just no way I would know that kind of stuff. I'll also add that I love the idea of Ultron in space (as rumored) solely because it sets things up for an adaptation one of my favorite comic arcs, Annihilation: Conquest. Phase 3 is starting off with a blockbuster Avengers' film. Captain America: Civil War is already confirmed to have more Avengers in it than the first Avengers film and that's without cameos from any of the unannounced actors. So far it is confirmed that Rogers, Stark, Widow, Hawkeye and Falcon are in along with T'Challa and Bucky who aren't technically Avengers. It is also widely believed, though unconfirmed, that Spidey will appear in the film: that makes 8 heroes. It's also likely that Nick Fury and Maria Hill will appear in some capacity. So it's a pretty packed lineup. I see the film starting with Cap and his crew on a mission. Maybe something goes wrong, maybe not. I still think the inciting moment for the Civil War will revolve around Bucky. In Winter Soldier we learned he killed Stark's parents. I'm inclined to believe that Stark learns about this and decides to put together a team to go after him and support an act that mandates all super-powered people register with the government. Sides will be taken and I'm not sure just how big this film will get, but remember that Bruhl and Crossbones will be heavily involved and it's also likely that Agent 13 comes back to play some role (I've always said there's a reason the last time we saw her she was in a shooting range being a dead shot). Stark will essentially resurrect S.H.I.E.L.D. as an above-ground, government unit and use his resources to bring down Cap's team of Secret Avengers. I do expect someone to die as a result of the battle and Cap to surrender once he sees the cost of the battle. I don't know if Bruhl's character and Crossbones will be a part of Stark's team or doing their own thing, but ultimately they are the villains and will be responsible for the assassination of Captain America. Bucky will emerge and take the mantle and the shield and run with a team of Secret Avengers. Stark will begin recruiting his own team of government sanctioned, registered Avengers and I imagine he'll recruit Spidey. I also imagine he'll attempt to recruit T'Challa and tell him he has to register and I don't think that ends well for Tony. I don't see T'Challa as the difference maker in Civil War, but I do believe we will see just how incredibly powerful he is in a showdown with Tony. I see Captain America: Civil War ending with Rogers dead, his team underground and a government sponsored team of Avengers working under Stark. I don't think Phase 3 is pretty. You have to remember what Captain America is supposed to be: an inspiring symbol. His death, whether you like it or not, will inspire and Bucky taking on the suit will be a symbol of continuing freedom. You have to think about what it is about registration that would make Cap fight it. Once you come to terms with what that is, you know he'd die for it and that his death would be the thing to keep the fight going. It won't be the end of Rogers though. I don't know how, but he will be back for the Infinity War. 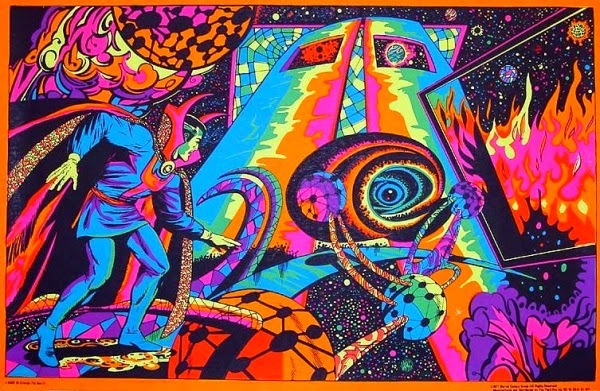 In the larger sense, I see Doctor Strange as being generally disconnected from the big picture events of Civil War and focusing on developing the ideas of magic and alternate dimensions and, most importantly, developing the character of Stephen Strange. 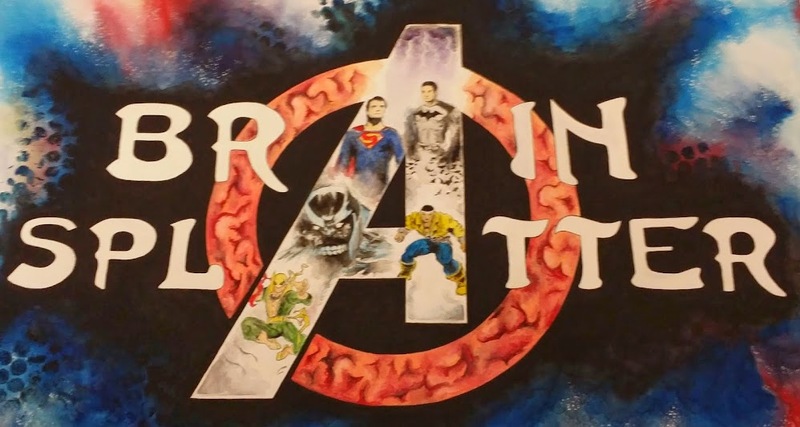 That's not to say that it won't have the connected universe feel of all MCU films, but in some ways I feel it may be more closely connected to the Cosmic films than the earth-bound ones. Strange is a HUGE movie for Marvel. If they can sell the idea of magic and extra-dimensions, it gives them yet another avenue to explore in the future and Benedict Cumberbatch gives them the big name they need to draw people in. So while this film is going to be a part of the MCU, it's going to really being about developing a new character, much like Iron Man was in 2008. 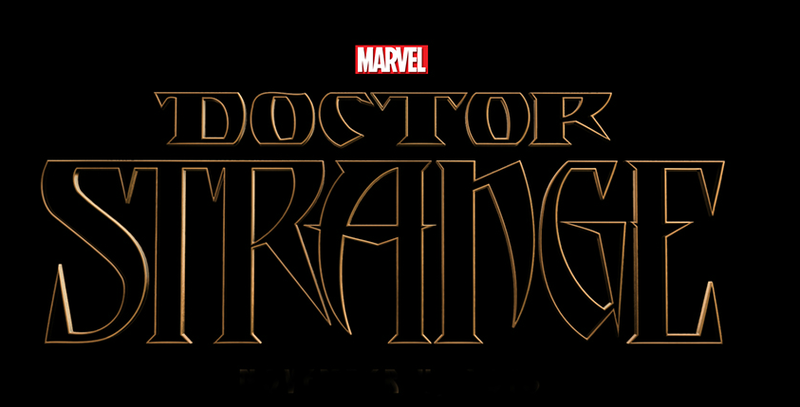 I think Strange, the Ancient One, Clea and Wong will be up against Mordo and, ultimately, Dormammu. Maybe Lizzy Olsen's Scarlet Witch has a place here as well. I would like to believe that Mephisto is introduced as well because I love the idea of him in Infinity War, but I also think Loki could easily fill the role of Thanos' right hand man (and honestly, I think he's been destined to do it since he failed Thanos in Avengers). Basically I want people leaving this movie not really sure how they feel about it because it unsettled them that much. Then, upon reflection, they can realize they felt that way because it was something they'd never really thought they'd see in a Marvel movie. That's what I'd be going for. It's my hope that Warlock is introduced in some way in this film ahead of him playing a main role in Guardians of the Galaxy 2. He and Strange have a long-standing relationship in the comics and I believe their ability to interact over distances will ultimately play a large role in Avengers: Infinity War. This film is going to remain a mystery until casting starts being announced so all I can do here is go on a fantasy tangent. I want this film to heavily involve the Kree and The Universal Church of Truth. In my mind the Kree empire is explored much more thoroughly. In response to the Guardians murdering their Grand Accuser, I'd like the Kree to send a strike team after the Guardians. In my head I envision something like the strike team in Alien consisting of some Kree warriors and scientists. Obviously I'd like this to be the introduction of Mar-Vell, Yon-Rogg and Minerva. I also see further development of Thanos in this film and I think this would be the perfect time to introduce Mentor (the perfect role for Al Pacino) and Starfox. It's also a wonderful time to delve a little further into the history (and maybe the future) of the existing universe and tease what's to come for the future of Marvel Cosmic. This film has to be about Peter Parker. I really enjoy the character of Miles Morales and I believe he is as important of a new character that Marvel has intoduced in a long time. But here's the thing, he is a legacy character which means he doesn't exist without Peter Parker. It is the way he contrasts to Peter that helps define, enrich and deepen the character. Miles Morales belongs in the MCU, just not until after Peter Parker defines what Spider-Man is. When this film starts, will Peter have Avengers' status? One thing is for sure, Sony will want to connect this to the MCU as much as possible and is likely willing to pay out to have Downey appear as Stark, as has been rumored. Maybe that means we see the Iron Spider suit (that'd be pretty cool) or maybe Parker goes to work under Stark's S.H.I.E.L.D. I'd like to see Peter do some street-level business in this film. 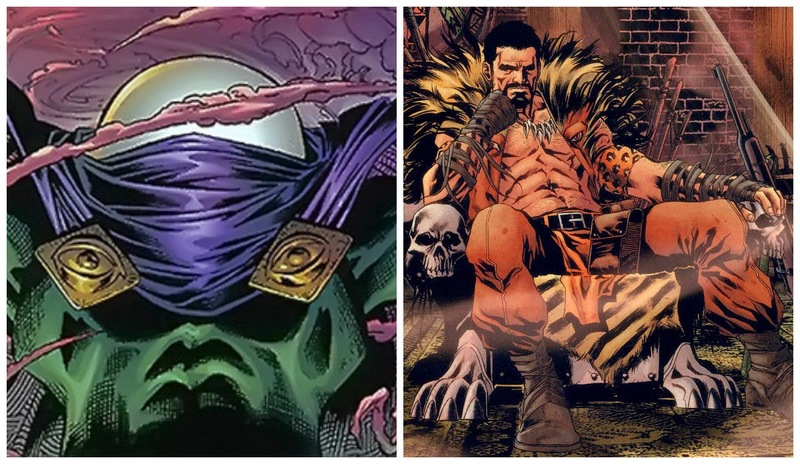 I'd really love to see Kingpin appear, but I feel it's more likely that he takes on someone like Kraven or Mysterio, a classic villain that hasn't been done yet. I'm really hopeful that we see this film explore Peter as the kid who doesn't think about his choices and is forced to deal with the consequences. I also see this as the perfect opportunity for Marvel and Sony to begin setting up Phase 4 by introducing Norman Osborne. My God do I hope they introduce him and do it right this time. The Amazing Spider-Man series may as well not have used him at all and while Dafoe was awesome as the Goblin, I want to see the badass Osborne from the Dark Reign era. My big hope is that Secret Invasion happens in Phase 4 and that Phase 5 is all about Norman Osborne's Dark Reign (that's why this is called My Marvel...it won't happen this way). 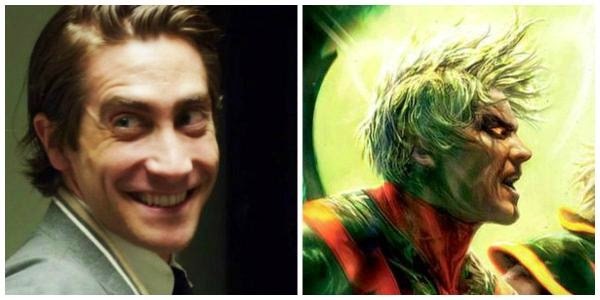 It honestly hurts my head that so many people believe that this film will about a clone of Thor. I understand that's what pops up first when you Google it, but why? Why would they do that story when it serves no purpose to the larger narrative AND they have something like this waiting to be told. I want this to be the fantasy epic that Thor can be and that Walt Simonson would be proud of. I want this to make Lord of the Rings look like a series of student films. This should pick up directly where Avengers: Age of Ultron leaves off, with Thor headed back to Asgard and ultimately discover Loki's treachery. I fully believe this film involves Surtur's attack on Asgard, but I also see it as a place to further develop Thanos. I think the Titan would happily let Surtur wreck Asgard and then come in and sort through the ashes to get what he has long wanted (the Tesseract). I don't know if the Gauntlet in Odin's treasure room was merely an Easter Egg or if it's supposed to actually be in Asgard, but if it's real, I'm sure he'll snag that, open the Tesseract and put the Space Stone in the Gauntlet. I don't see Earth playing a role in this film at all and it giving the studio a chance to finally introduce some legendary Thor characters. The Enchantress, Executioner, Valkyrie and Blader all come to mind and may be needed to fight for Asgard against Surtur. At any rate, this ends badly for Thor and Asgard. I could see Thor dead, along with a lot of Asgardians, and having to make a deal with Hela to get out. I can't decide if Loki tries to wax heroic here and dies or if he ends up as Thanos' lackey. I want him to die, mostly so Mephisto has a role in Avengers: Infinity War, but I can see it working either way. This is the great Thor story waiting to be told and it must be done justice. At this point Thanos has at the very least one stone. I can see this film being the Thanos-centric film that Feige has referenced. There's also been rumors that Marvel tossed around the idea of a Warlock solo film, so I honestly believe that this film will be a Thanos-Warlock film and that the Earth-bound Avengers will have a minor role. If we haven't yet met Starfox and Mentor, we could here along with some other Eternals and perhaps some of the heavy-hitting Cosmic entities. I could see the Guardians being heavily involved here and I could also see the Inhumans being introduced. I do wonder if they won't have one of the Infinity Stones under their protection in Attilan. Like Doctor Strange, I see this film being much more about character development than making a huge push to develop the larger story. This film should focus on T'Challa and Wakanda. I'd honestly be unhappy with a film that tired to add any other Avengers to it. T'Challa is one of Marvel's crown jewels and deserves to be fully developed and the centerpiece of his own story. He's also going to be an important character going forward, so it'd be a poor choice not to develop him. Maybe Klaw is the villain, maybe Killmonger or Man-Ape. Regardless, it should show T'Challa as the top tier character he is. I could see Doctor Strange calling on T'Challa at the end of the film to help stop what is coming (Strange will have made contact with Warlock who will inform him that Thanos is headed for Earth). This film is another one that I can't really predict. It's so far off and, as of now, has no identity. A lot depends on when and how Carol gets her powers. Are we going to see her before her solo film? Agents of S.H.I.E.L.D. has really hit the Kree business hard. I could honestly see them introducing Mar-Vell on the show and setting up Carol, IF she is a Kree/human hybrid who ultimately owes her powers to Mar-Vell, as in the comics. Marvel could also mix it up and make her an Inhuman? I don't know that they'll do that because while they've adapted a lot of stories to fit the MCU, characer origins have largely remained the same. I'm not sure when Carol is introduced and gains her powers, but I think this movie will take place in space for the most part. I'd like to have it further explore the Kree empire, maybe with Carol as an enemy, I'm not sure. Another possibility is that IF Marvel has plans to use the Skrulls in the MCU for a Secret Invasion film, this would be the time to introduce them as well. I could also see this film taking place on Earth and Carol being in charge of her own team of Avengers. It just depends when and how she shows up, which we might know more about soon. Regardless of the plot, here's what's most important about this movie: it needs to be about Carol Danvers. As I said about Doctor Strange and Black Panther, this movie needs to develop her as one of Marvel's heavy hitters. Going forward, there's a great chance Chris Evans, Robert Downey Jr. and Chris Hemsworth will move on or take a break. If/when that happens, the studio has to have strong characters ready to take their places. Strange, T'Challa and Captain Marvel, along with Spider-Man, give them a fantastic core to their New Avengers. So while I can envision Carol meeting the Guardians in space and I could deal with Rhodey showing up as those two have had a relationship in the comics, I don't want this to be an Iron Man film featuring Captain Marvel. Carol is a big time character and leader and deserves her own feature. Thanos comes to Earth, maybe for the last stone, and unleashes the Hulk on Earth and remarkable battle ensues. I want the characters from the Defenders here. If, by this time, Ghost Rider and the Punisher have made it to Netflix, then I want them too. I don't car how big this film gets because it will be worth it. This is the big wake-up call that reunites all the Avengers. Somehow Cap is going to be back. Whether it's the use of one of the stones or something else. 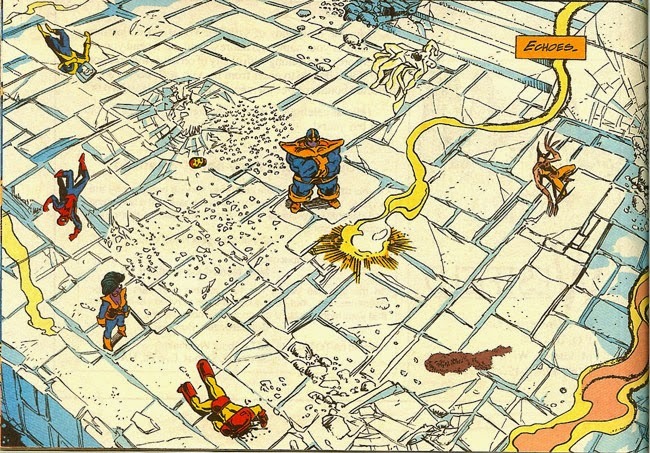 Either way, Thanos gets the best of Earth and heads out fully empowered while the heroes are left defeated. And then Cap will die. In fact, I see EVERYONE dead here. Then, similar to the comics, I see Warlock's plan to get the Gauntlet either work out or, if it fails, they could go straight from the comics and have Nebula take control (they've certainly already set up some animosity between her and her father over Gamora being the favorite). 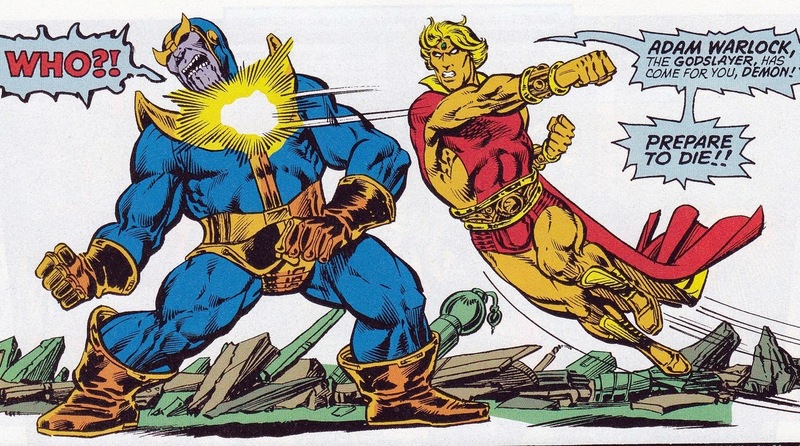 The movie will end with Warlock having the Gauntlet and RESTORING the heroes effectively hitting the reset button.They could go a couple ways going forward: they could form an Infinity Watch OR they could form an Illuminati. Either way, the gems will be split up BUT not forgotten. I'm personally much more excited about the concept of an Illuminati in the MCU than the concept of the Infinity Watch, but I'm not sure if either of them are options. The defeat of Thanos will certainly alert the rest of the universe to Earth's Mightiest Heroes, setting up any number of Cosmic arcs. 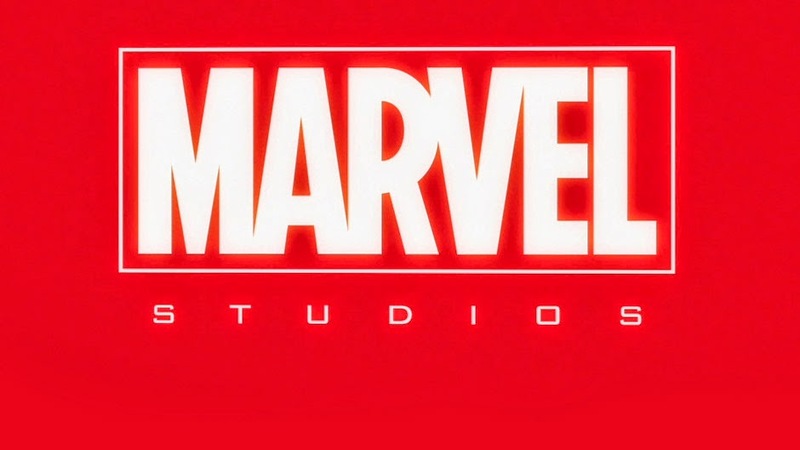 While I do believe that we'll see the Inhumans in full force before their own movie, I think that this film will be essentially a starting over point for the MCU. I honestly think that Inhumans is a sure fire hit and will spawn several sequels and spinoffs. The studios plans to Game of Thrones-ify it sound marvelous and the characters have so many wonderful stories to tell that I think it becomes the foundation of it's own corner of the MCU. However, this movie should certainly focus on the Royal Family with Maximus being the main antagonist. He could easily have a lot to say about Black Bolt leading the Royal Family out of hiding and into a Cosmic battle. I think that while the world knows about Inhumans, Avengers: Infinity War will be the first time the Royal Family and all their secrets will be revealed to the world. I'd imagine the Kree would be VERY interested in the revelation of Black Bolt and his family. I hope Aaron Taylor-Johnson's Quicksilver survives and we get to see him meet up with Crystal and maybe, just maybe spark a Silent War with Earth. I also look forward to some heavy hitting intergalactic warfare with a fully developed Kree Empire at some point. I like the idea of Ronan being reborn somehow and being sent by the Kree Supreme Intelligence to bring Black Bolt in...I think there are so many incredible things that could be done with the Inhumans. I also wonder how many Marvel characters will be revealed as Inhumans and how long it'll be before Marvel makes the leap to introduce their most popular new character, Kamala Khan. While I can't see her being in this film, her popularity, especially with younger women, could make her a very important character for the MCU to develop. I apologize for how disjointed this eventually got, but it was a lot of thinking and writing in a short amount of time, so it was bound to happen.